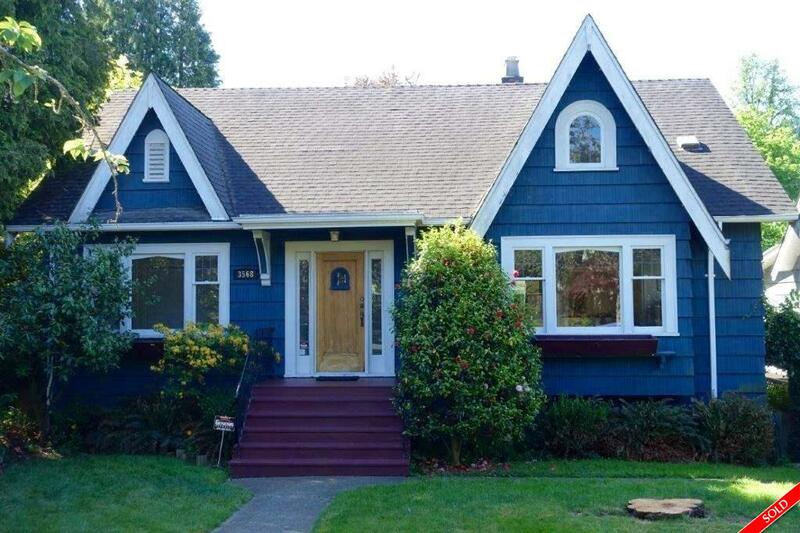 Prime Dunbar 50’ property with south facing backyard on W 38th Ave. Buy now and live in, or rent out, this almost 3,000 sq ft home or build new in this popular Dunbar location. Main: Living rm, dining rm, kitchen, eating area, bdrm & den/bdrm, bthrm. Up: 2 bdrms & bthrm. Down: has been completely redone with good ceiling heights and offers radiant in-floor heat with rec/media rm, 2 bdrms, bthrm, laundry, & storage (easily suite-able). 2 car garage in fully fenced backyard. Kerrisdale Elementary & Point Grey High School catchments. Open Sat/Sun May 14th & 15th 2-4pm.